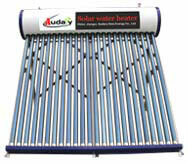 solar water heater|solar thermal|Top Quality Solar Thermal Systems, Solar Thermal Supplier. 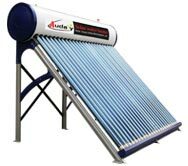 ADL serial is Thermosyphon solar water heater, That is a kind of solar water heating system that solar collector and storage are connected together with the cylinder storage on the top and collector panel on the bottom. 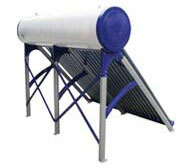 There is no need of pump to push the fluid and no need of pipeline between the collector and storage. 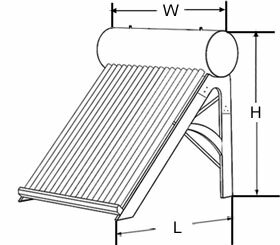 It is a simple and safe solution to get heat power from the sun. 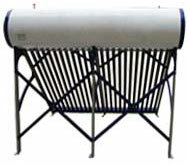 1) The material of the outer tank is Galvanized Steel. The material of the inner tank is SUS304 2B. 2) The life of the vacuum tubes is 15 years. 3) Stable and reliable performance, well resistance. 4) Temperature when exposed to sun without water: 250°C, 2.5 hours to boiling point if using single tube. 5) It resists 25mm hail. 6) Heat preservation: 72 hours. 7) Optional accessories: assistant tank, electric heater.